Don Trousdell grew up in the industrial playground of Newark, New Jersey, a very visual place. He considered himself very lucky to have attended Arts High School and Pratt Institute, where he learned the craft of advertising design. Don entered the business in an art studio as a graphic designer. He felt lucky that he began his career in the “Golden Age” of graphic design. As a graphic designer Don won over 500 national and international awards for his work. In the sixties, his studio Mabye-Trousdell was a trendsetting firm with clients that ranged from the U.S. Army to Metro-Goldwyn-Mayer (MGM) movies. He felt fortunate to have worked with many creative people over the years. Don taught at Syracuse and Kansas Universities. He thought that he learned more than the students just by talking about concepts and graphic design. Known for his themed exhibits, Don viewed himself as a “storyteller.” He had over 38 one-man shows—36 of which were themed shows. His last exhibit, “Ordinary People,” followed the Picasso exhibit in St. Augustine, Florida. It tells the stories of the early settlers of America's oldest city, St. Augustine. 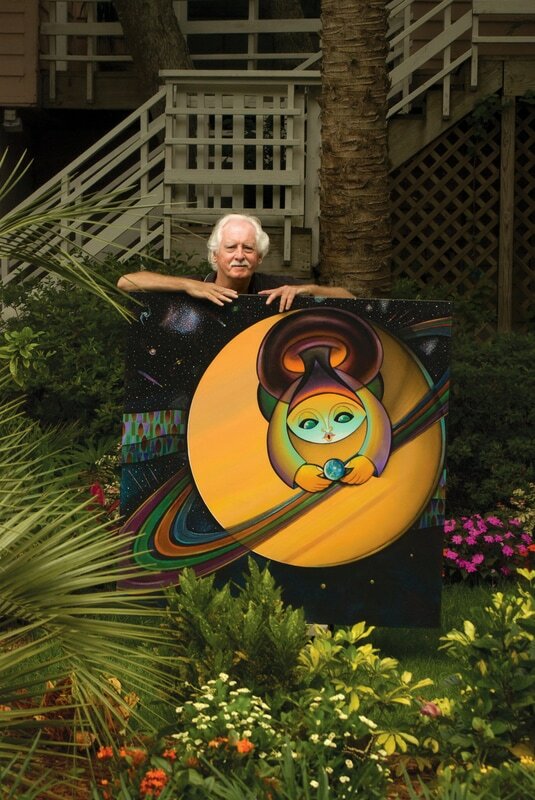 One of Don's painting styles is an original technique he developed, which was influenced by the Maya Glyphs of Mexico. It allowed him to have a design point of view in his work, based on ideas and concept. To some extent, he believed that he remained a graphic designer throughout the course of his life—just with a different audience. Intended for children and adults. This little book takes you on a trip to the Bermuda Dockyard, to discover its history and to look for cats. Also a book for cat lovers of all ages. A quick, fun read on the culture of baseball with respects to the hot topic of cheating. Executed in a sketch book art style with large visuals and relevant baseball jargon that play back to cheating, this book is not about stats, big games or famous names, it's just a fun historical account about the way the game has always been played.